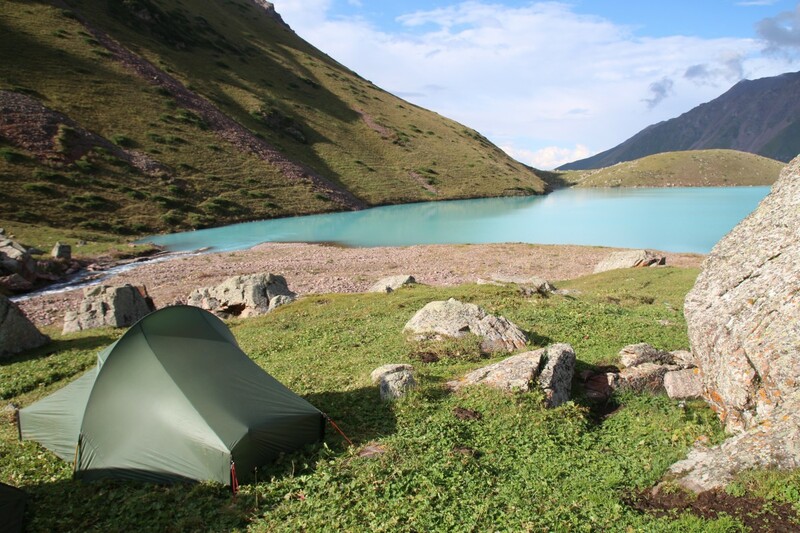 Camping in Kyrgyzstan Copyright Bunch of Backpackers. 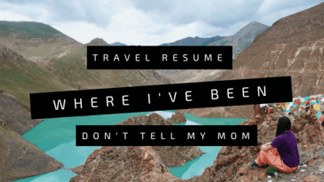 The last few years, I traveled with a tent. A tent offers you the certainty of a place to sleep, cheaper accommodation and it gets you to more remote places. 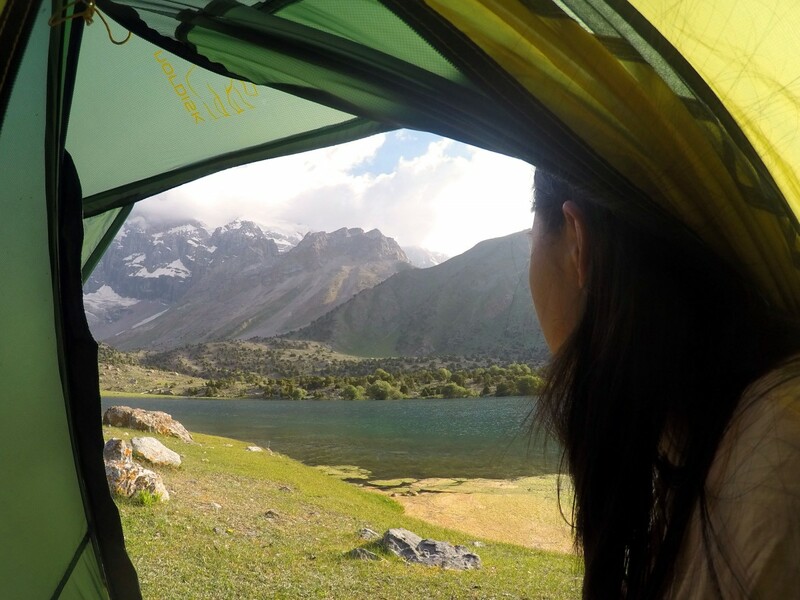 Especially in Africa and Central Asia, I used my tent a lot (sometimes on a daily basis)! But, what makes a tent great for backpacking? For me, the best backpacker tent would be ultralight, compact and strong. It needs to keep me warm and dry, and preferably with enough space for my backpack and cooking. 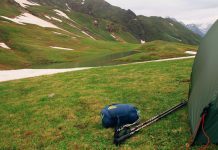 Lately, I’ve been backpacking with the Nordisk Telemark 1 LW . Find my review of the Nordisk Telemark 1 LW below. Is this truly the best backpacker tent or should I continue my search? 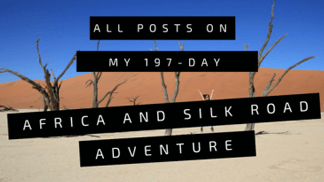 In 2016, I brought my Nordisk tent for a long-term backpacking and camping trip in Southern Africa and Central Asia. During a recent trip to Egypt, Sudan and Ethiopia, I also brought my Nordisk tent with me. The Nordisk tent is a 1-person two-layer tent, famous for its extreme low weight and pack size. 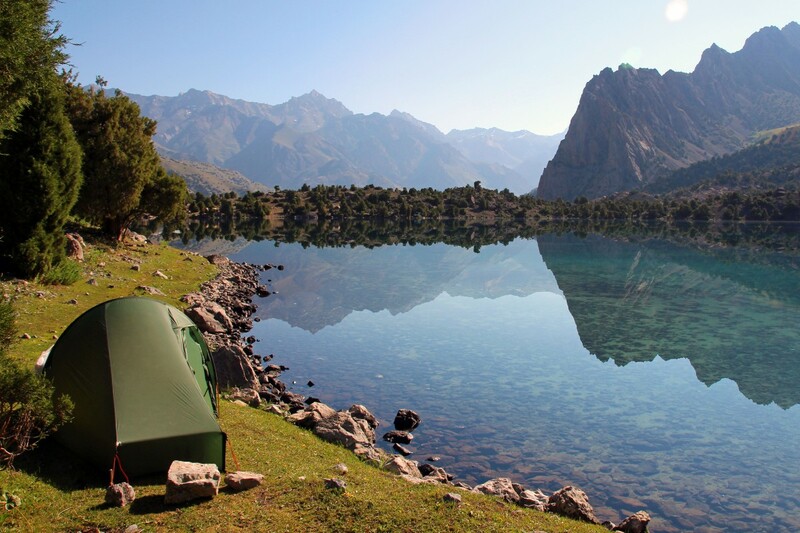 Camping with the Nordisk Telemark 1 ULW in Tajikistan. Copyright Bunch of Backpackers. The size and the weight. I carry my tent, sleeping bag and sleeping mat in my 65L backpack, so it has to be small and super light weight. The floor space. It’s just big enough for me and my backpack. The tent pockets. Easy to keep small things. Waterproof. Even in heavy rain, the tent kept my dry. The quality of the carbon poles and titanium pegs. These remained strong and shiny. The small porch for cooking and to put your shoes. Good ventilation. It’s never stuffy. It only takes 5 minutes to pitch! The quality of the tent wall and floor. Unfortunately, because it’s so thin, the material tears easily. During my long-term trip, I had to repair three holes in the first 2 months. This was very disappointing. 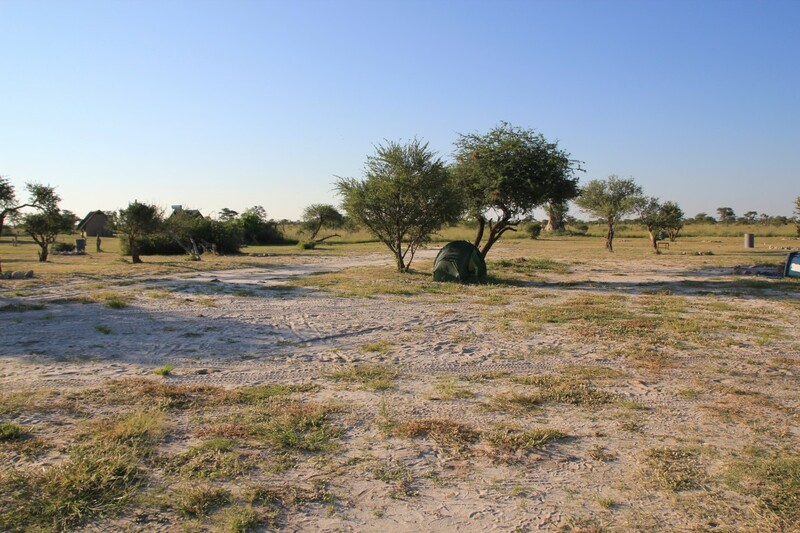 Camping at Elephant Sands in Botswana. Best Backpacker Tent. Copyright Bunch of Backpackers. Hilleberg Akto: Hilleberg is a well-established tent brand. The Akto is an all-season tent designed for extreme use. It’s therefore slightly heavier. This looks like a perfect tent for backpacking and I would seriously consider this as my next tent! The price is around 600 euro’s. The Terra Nova Laser Photon 1 tent: This is another ultra light weight tent suitable for 3 seasons. It weighs 0.72 kilograms and the packed size is only 8 x 35 cm. The price is around 550 euro’s. Bunch of Backpackers final verdict. Is it truly the best backpacker tent? Disclaimer: I bought the Nordisk Telemark 1 LW tent myself! Opinions are as always my own. –> Check out the current price of the Telemark tent on Amazon! Do you bring a tent on your backpack trips? What type of tent do you have? 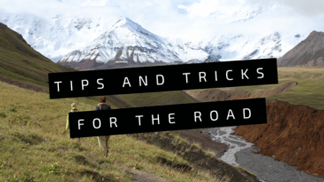 Find out what I bring on my trips, besides my camping gear! 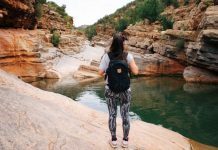 Previous articleSolo female travel in Sudan – All you need to know! 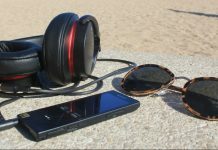 Review: Sony MDR-1A headphones and the Sony NWZ-A15 walkman. Wauw, nooit aan gedacht om met een eigen tent te reizen. 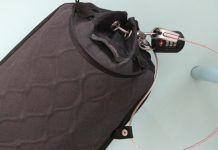 Ik reis altijd ultralight, dus met een rugzak voor max 20 liter zodat deze mee kan als handbagage. Maar overal kunnen slapen waar je wilt is ook wel heel aantrekkelijk, alleen hoe ga ik dat combineren met mijn minimalistische reisstijl? Oeh 20 L is inderdaad erg minimalistisch. Dat zou ik denk ik niet redden. Haha alleen mijn spiegelreflex neemt al vele ruimte in. 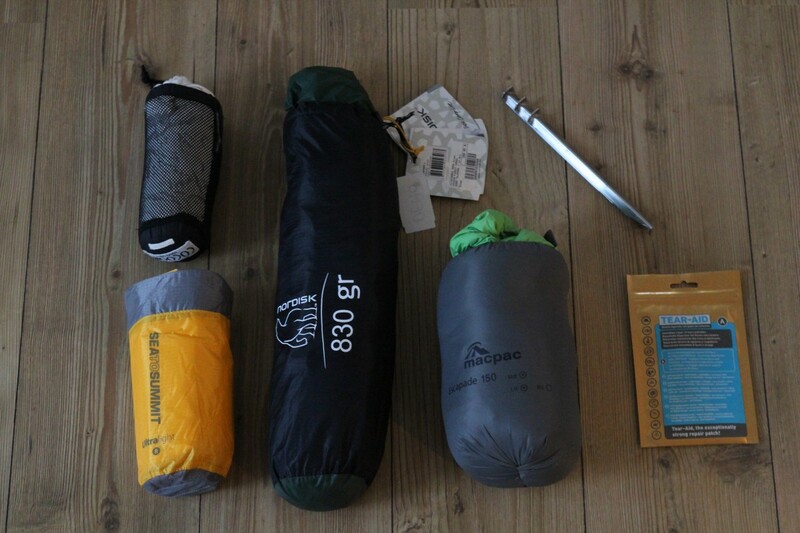 Ik vind het met name voor trekkingen en hiken en voor Afrika toch wel fijn om kampeerspullen bij me te hebben en dan heb ik echt 65L nodig (maar tent en slaapzak zitten wel allemaal in de tas dan). 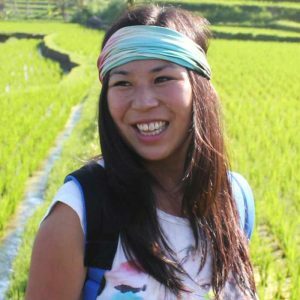 Maar vind het wel altijd knap van de mensen die enkele met handbagage gaan backpacken! 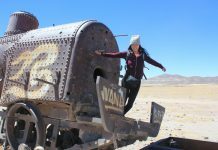 Toen ik begon met lezen, had ik al een hoop vooroordelen in mijn hoofd over reizen met een tent (met name: neemt veel plek in, weegt veel en is gedoe om elke avond op te zetten). Al deze nadelen heb je in dit artikel meteen kunnen weerleggen! Ik zit e rnu ernstig over na te denken om eens naar deze tent te kijken. Maar wat ik me afvroeg: kampeer je dan op het terrein van mensen? Dus in hun “tuin” zegmaar? Ik heb enkele maanden in West-Afrika gereisd en ik denk dat ik bijna nergens een geschikte plek heb gezien op de openbare weg om een tent op te zetten. Hoe pak jij dit aan? Hey Nathan! Ik kampeerde meestal in Afrika op kampeer terrein (soms helemaal leeg) en in Centraal Azie ook soms wild tijdens trekkingen. Ik weet dat fietsers in Afrika vaak wel wild kamperen in een dorp of langs de weg, maar ik heb dit zelf niet echt gedaan! De tent past echt prima in mijn 65L backpack, met daarnaast ook nog een (zomer)slaapzak en een slaapmatje. Opzetten is binnen 5 minuten gedaan! Al zal ik mijn tent misschien minder snel meenemen naar bijv. Mexico of ZO Azie, ik ben iha toch wel echt fan van mijn tent mee tijdens backpacken! Het is een fijn idee dat je altijd een huis bij je hebt ;)! Hi! I have the Telemark 2 LW and have been using it for about 2 years. Although it is lightweight it’s not proved to be robust enough, for example several of the rubber rings used to connect the inner to the fly have broken, the small end poles keep slipping up out of their channels, the pole sleeve was stitched incorrectly which makes the pole very difficult to insert, especially in the wind! If it’s windy the fly gets blown onto the inner and the guys slip so that the tent almost collapses at the foot end. The worst thing is that Nordisk can’t be bothered to reply to my enquiries and now the retailer won’t answer my emails either. I recommend no one else buys this tent! You know, for a tent that is called ‘The Telemark’ I would like to see how it pitches in the snow. It seems like it uses a lot of pegs – which is not so much a problem for the guy ropes BUT for the pegs that are required to pin it to the ground this is structural and are not optional. I think this would be a problem in the snow. For guy ropes you can always fill a sock with snow and bury it but not for the pegs that pin the tent to the ground. If you haven’t bought one yet, I can highly recommend the Tarptent Moment DW. It’s reasonably priced and pretty much top of the market. The reviewer who convinced me to buy it described it as “an Akto on steroids”.